1. Birthday Party. Our antenatal group had a joint Birthday party to celebrate the babies reaching one year old! Soft play & delicious cake. 3. Teething. I have had a very grumpy & teething Florence! Calpol has been my friend. 4. Packages. I have dribs and drabs arriving in the post for Florence’s first birthday continuously! Not to mention lovely companies that I have previously worked with sending her presents. 5. Snuggles. It has really hit me this week that I only have one short year left with Safiyah before she goes to school, I know just how precious time is with these growing babies of mine & really want to treasure it. Finding a work/life balance is hard when working for yourself & being a full time mum. 7. Sunshine smiles. Scotland has had sunshine this week which has resulted in a happy Safiyah & a happy mummy! Lots of time sent outdoors! 8. Playgroup. We ventured back to morning play group with Diva Florrie in tow. Messing up her napping schedule isn’t worth it so we won’t be doing that again in a hurry. I have rejigged all of Safiyah’s nursery hours to try & make our life work better! 9. Friends. 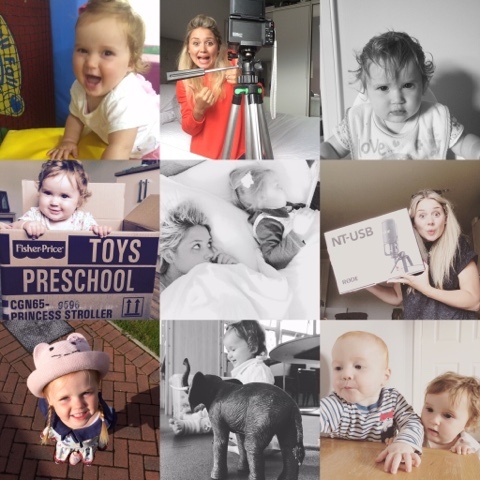 Thrin & Magnus are a staple in our lives, I couldn’t function without her company & parenting is much more fun with her & the little man alongside us – especially when we are at it solo!